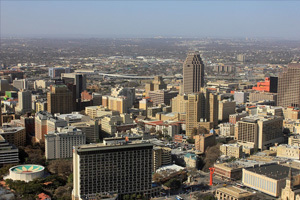 San Antonio, the second most populated city in Texas, has been one of the fastest growing cities in the USA between 1990 and 2010. San Antonio is a very popular tourist destination and thrives on travel and tourism related business with over 32 million visitors to the city each year. Some of the attractions include five 18th century Spanish frontier missions, The River Walk, Tower of the Americas, Marriage Island, and Six Flags Fiesta theme park. In addition to being the home of 6 Fortune 500 companies, the city is also the home of the only medical research and care provider in South Texas (South Texas Medical Center). As such, the medical industry is both thriving and expanding in San Antonio. To keep up with demand and ensure that all patients are professionally handled, many companies in this field opt for acquiring medical answering services in San Antonio. This type of service ensures patients have access to both English and Spanish medical assistance and that facilities in the field are highly productive and efficient at all times. Now you never have to miss an incoming call again. We will handle all your calls, orders, and messages while you take care of business responsibilities. Ensure that all your key staff members are focused on patient care while virtual telephone receptionists handle all incoming calls, the booking of appointments and providing patients with information. Now you don’t have to hire full-time staff members to handle your medical office’s incoming calls. We’ll take care of your telephone calls while you focus on caring for patients. In a busy medical practice, you often need all hands on deck. Our virtual assistants can take care of your incoming calls so that you and your staff members can focus on patient care and efficient admin and processing. Small medical companies need to grow and expand steadily while cutting back on overheads. Our telephone answering service for small businesses is aimed at helping you to do that. Ensure that patients can be assisted in the language of their choice. Our agents can answer your incoming calls in both English and Spanish. Medical emergencies can happen at any time of the day or night. With after-hours answering services, you can be available to your patients 24/7/365 to assist with emergencies and to make appointments. Being prompt and professional is essential in the medical field. If you wish to provide your patients with the type of health care that gives them complete peace of mind, sign up for our medical answering services in San Antonio. You will be able to dedicate more time and attention to patient care while we manage your incoming calls and appointment bookings. For more information on our 24-hour medical answering service in San Antonio, contact us at Sunshine Communication Services, Inc. today.